In 2016, new passenger vehicle registrations in the European Union and EFTA increased by 6.5% to 15 million cars. Germany was the largest car market in Europe followed by the UK, France, Italy and Spain. The Netherlands and Switzerland were the only countries in Europe with weaker car sales in 2016. New passenger vehicle registrations in the European Union (EU) and EFTA countries increased in 2016 by 6.5% to 15,131,719 cars – the highest number since 2007. This represents an increase of around 930,000 cars from the 14,202,273 cars sold in 2015. The EU expanded even faster by 6.8% to 14,641,256 cars. 2016 was the third consecutive year of passenger car sales increases in the EU and EFTA. The current period of expansion started in December 2013. Car sales in Europe increased in 38 of the previous 40 months – only July and October 2016 had negative figures. December 2016 was the strongest December on record. Note: Statistics are for countries belonging to the EU / EFTA in the relevant years. All figures exclude Malta. New passenger vehicle registrations in 2016 increased in all but two EU and EFTA countries. The Netherlands was the weakest performer and the only EU country with weaker car sales in 2016. The Dutch new car market shrank by 14.7%, or 66,000 fewer cars than in 2015. The Dutch car market slipped from 7th largest in Europe to 8th, as the Polish market expanded by 60,000 cars. The Swiss car market contracted by 2% in 2016. As a result, Austria replaced Switzerland as the tenth largest car market in Europe. 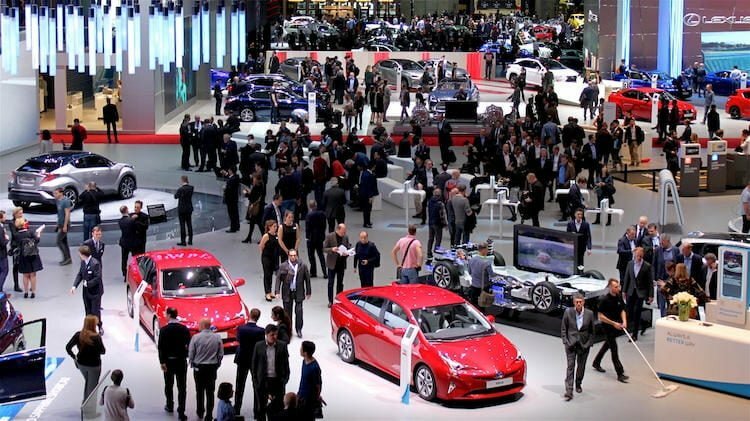 The rank order of the six largest car markets remained unaltered from previous years: Germany followed by the UK, France, Italy, Spain and Belgium. The top three markets grew slower than the European average. However, Germany still added 145,000 cars, Britain 60,000 cars, and France 98,000. The strongest growth in the larger markets in 2016 came in Italy where car sales were up 16% or a massive quarter of a million more than a year ago. The Spanish new car market also expanded rapidly and added 113,000 cars. The fastest growth in car sales was in the smaller markets: Iceland (32%), Hungary (25%), Croatia (24%), and Cyprus (22%). Despite a difficult year, the Volkswagen Group remained Europe’s largest car manufacturing group, Volkswagen the best-selling car brand and the VW Golf the top-selling car model in Europe in 2016.